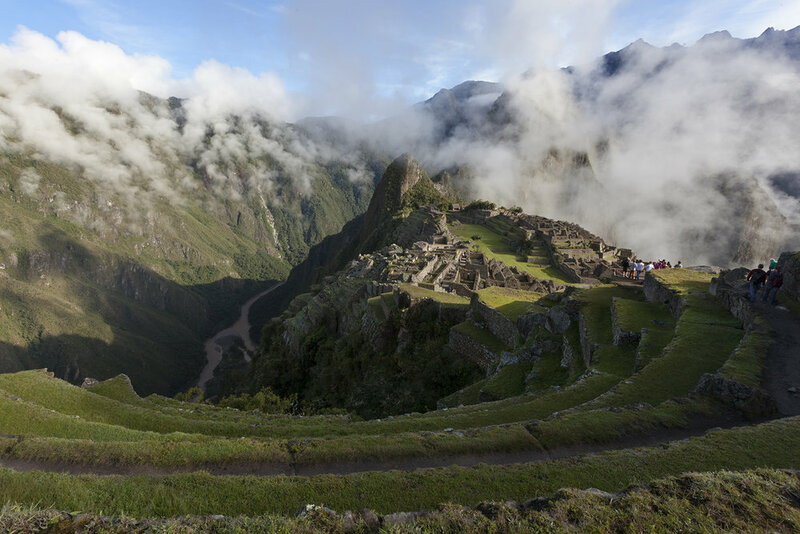 A short active adventure that covers the best of the Incan Empire in seven days. Luxury: stay in some of the finest accommodations and dine in the finest restaurants in the region. 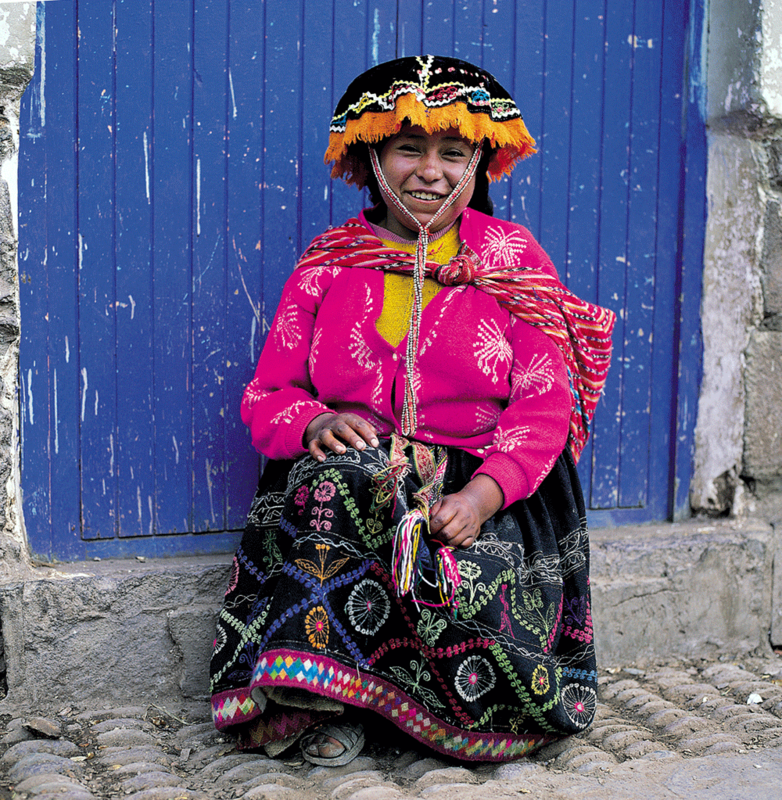 Culture: visit local communities, explore museums, and have a private shaman ceremony. Action: hike, bike, and zipline through the fields and peaks of Urubamba Valley and Machu Picchu. Discover ways of life that have gone little-changed in centuries in this dynamic, dramatic valley. Visit markets, fortress ruins, and traditional communities. Hike local trails. 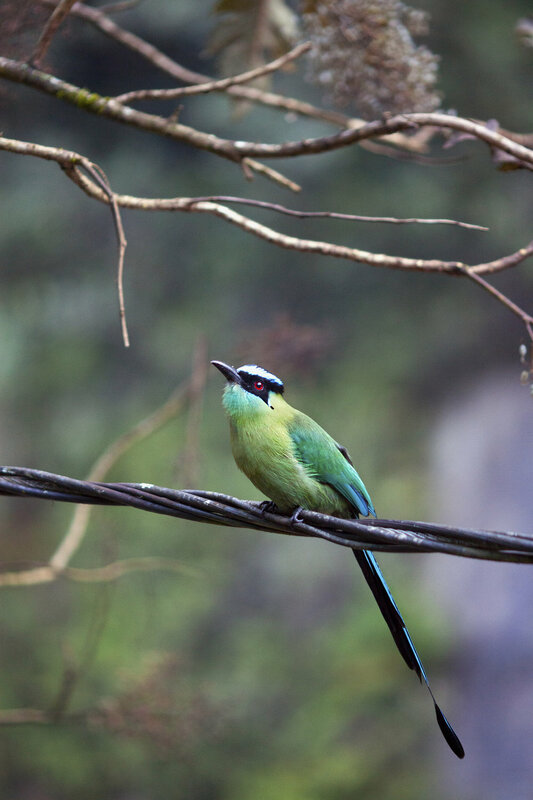 Choose to mountain bike ride among green fields or zipline above the Rio Urubamba. Enjoy a special meal at the private restaurant Iskay. All framed by soaring Andean peaks. 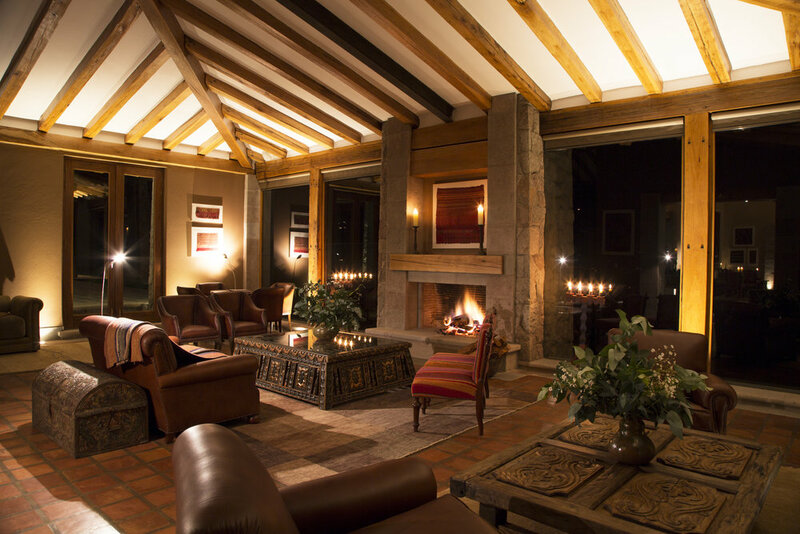 In the evening, settle into your luxurious accommodations at Hacienda Urubamba. You’ll spend two nights in a Junior Suite with views of the valley. Your meals will be a mix of traditional and contemporary Peruvian cuisine. There is no place more iconic in Peru than Machu Picchu. Built around 1450 as a royal estate for the Incan Emperor Pachacuti, the site was abandoned only 100 years later, about the time Conquistadors first invaded Peru. 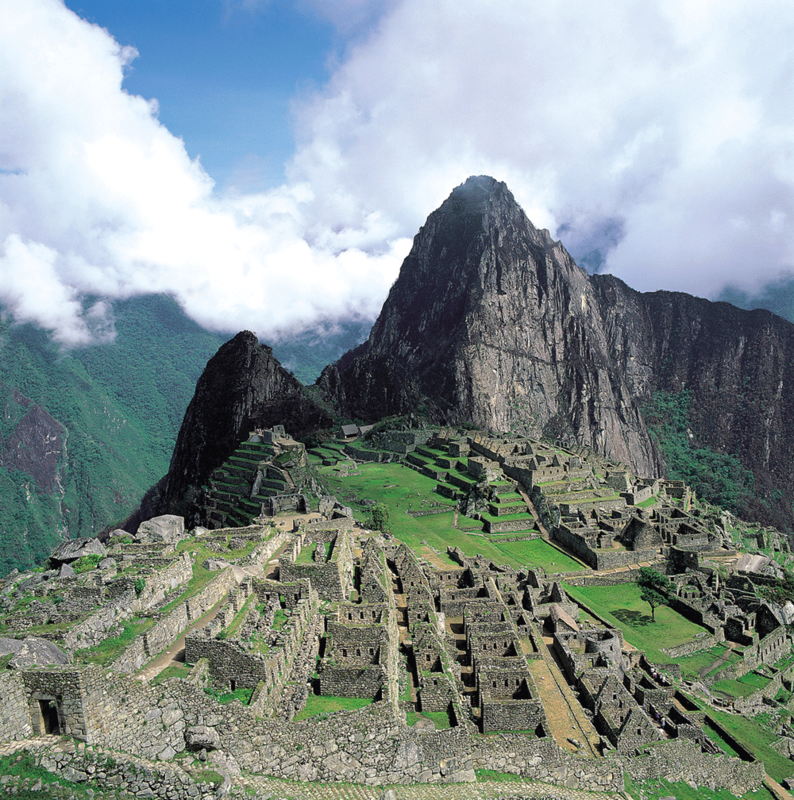 Today, Machu Picchu is the most visited site in Peru and among the top destinations in South America. You’ll have extra time to explore these special ruins with your private guide with both morning and afternoon entries. Hikes to the top of Huayna Picchu or Machu Picchu mountain are an exhilarating way to experience the magnificent vistas. Your Junior Suite accommodations are at the beautiful Machu Picchu Pueblo, located in the village of Aguas Calientes along the Rio Vilcanota below the ruins. 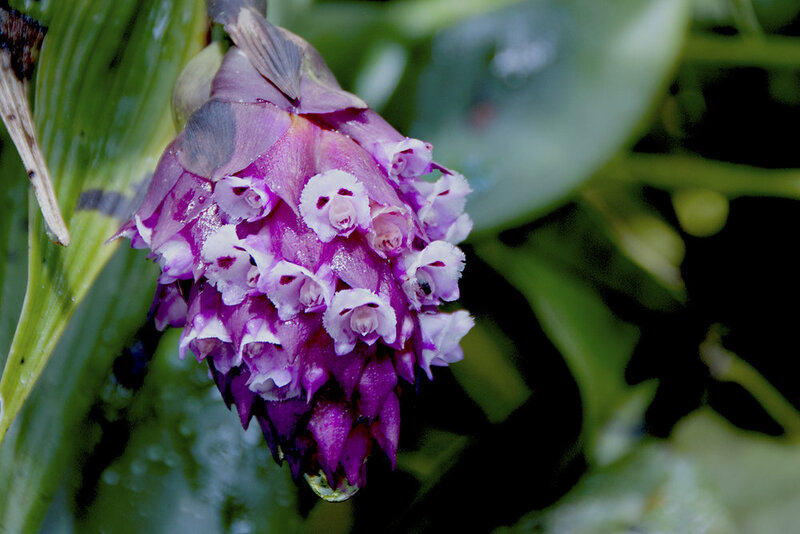 Enjoy the tropical setting, complete with miles of forest trails, natural hot springs, and a chance to discover over 350 native orchid species, 200 birds and more than 100 butterfly species on site. We have a special treat for your journey to Cusco: tickets aboard the Hiram Bingham train. Dinner, drinks, music and dancing make the journey aboard the Orient Express-style railcars a festive memory. 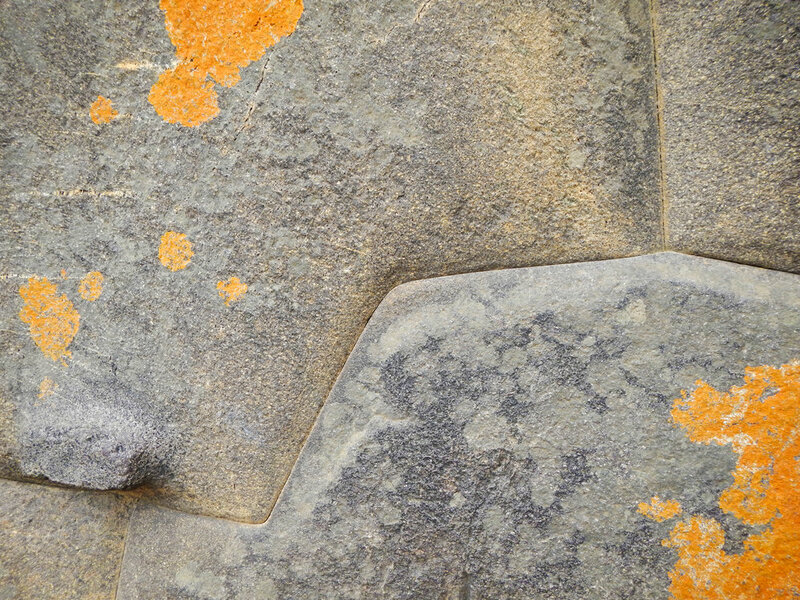 Perched high in the Andes, Cusco was the capital of the vast Incan Empire. Today, it is a wealth of archeological ruins, Spanish colonial architecture, and thriving economy. Ornate Colonial buildings sit atop Incan stone walls. 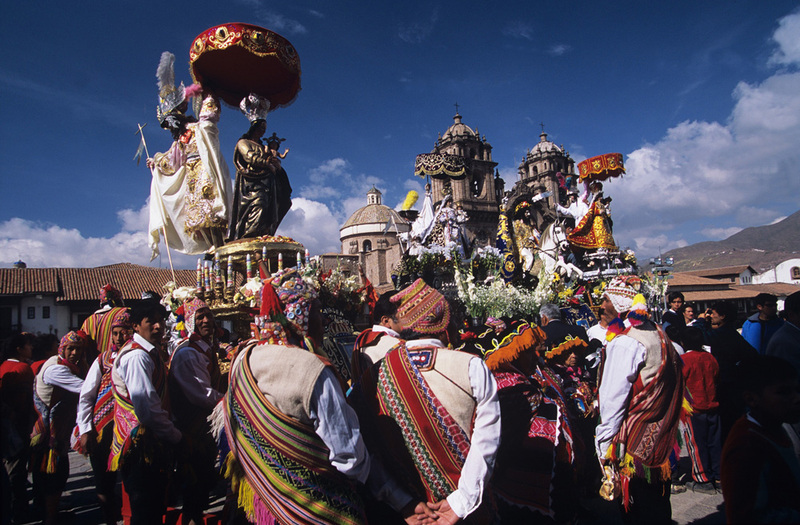 Indigenous traditions blend with Mestizo, Catholic and international cultures. Discover the wealth of art and architecture, history and culture the city has to offer. Your accommodations in Cusco are at the incomparable Palacio Nazarenas in luxurious Incan Studio Suites. 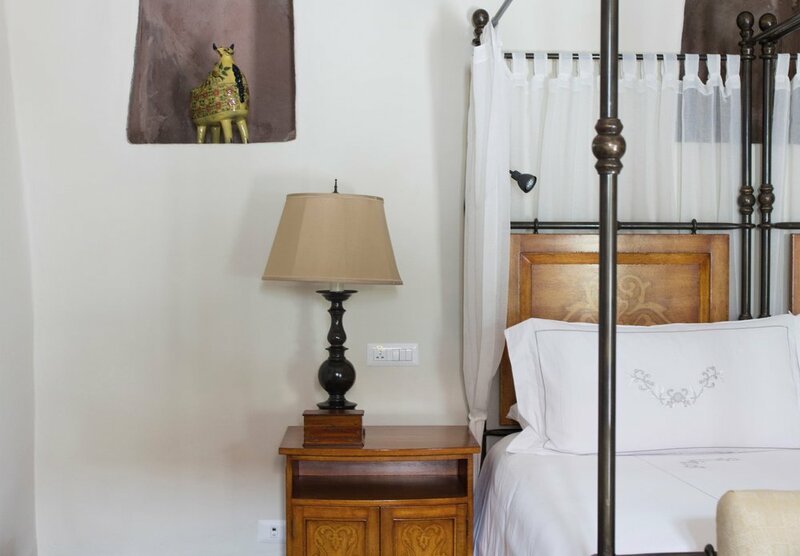 Nestled in the heart of Cusco, Palacio Nazarenas derives its name from the 18th century convent it now occupies. Built upon the stones of an ancient Incan fortification, Palacio Nazarenas is now considered the finest hotel in Cusco. Upon arrival in Peru, you will be met and escorted to your hotel for an overnight. If flights require more than one night in Lima, a more luxurious property will be used. After an early breakfast, our representative will meet you in the hotel lobby to transfer you to the airport for your flight to Cusco. You will be treated to spectacular views of the Andes below as you make your way to Cusco. This legendary city of gold sits at an altitude of 11,200 feet and is known as the Center of the Inca Universe. Upon arrival in Cusco, you will be met by your guide and enjoy a scenic ride into the breathtaking Urubamba Valley. You will stop at the traditional weaving village of Awanacancha where you can see the 4 Andean cameloids—llama, alpaca, guanaco, and the very skittish vicuna—en route to the Pisac Fortress high above the village of Pisac. Time permitting, you may time also stop at the Pisac village market. Lunch will be at Hacienda Sachapampa. You may have the option to hike down from the Fortress to the village of Pisac, depending on the weather, time, and your altitude acclimatization. In the late afternoon, you’ll travel along the Urubamba River en route to your hotel. After check-in, you may relax until time for contemporary Peruvian dinner in the hotel restaurant. 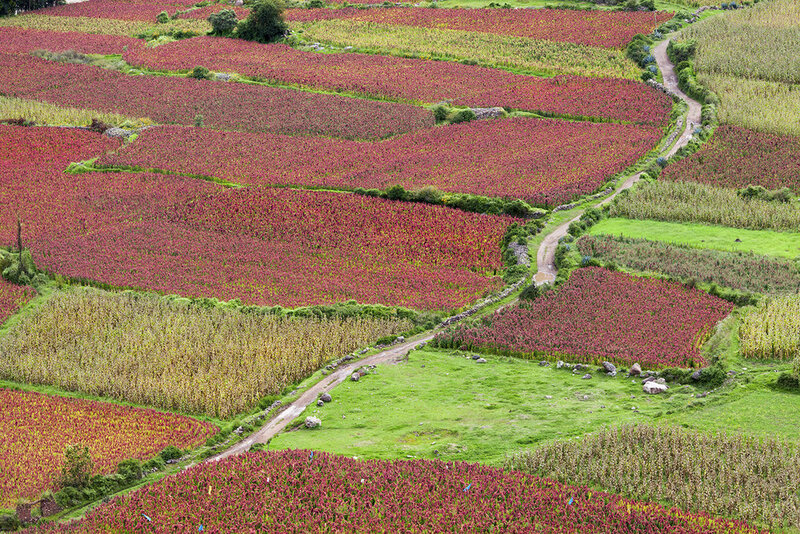 Morning Option 1: This morning, you’ll visit the village of Chinchero known for its Andean weaving. We have planned a weaving demonstration orchestrated by Nilda Challañaupa, the founder and director of The Center for Traditional Textiles of Cusco. This organization is dedicated to preserving ancient textile designs and weaving techniques from all over the Andes. Some designs are more than 2,000 years old and were thought to have been lost. Textiles created at the Center may be available for purchase. Following your visit to Chinchero, enjoy a 2-hour supported mountain bike ride from Chinchero to Moray. (Those who do not wish to cycle, may enjoy a van transfer). 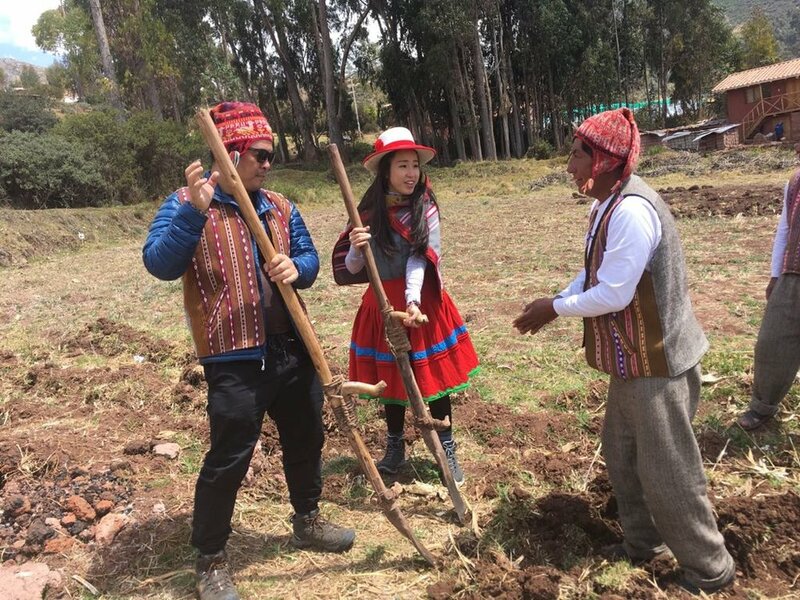 Morning Option 2: Visit the Andean community of Misminay where you will be able to see local traditions that are being preserved. The village is 12,140 ft (3700m) above sea level and has spectacular views of the Sacred Valley below and the snow-covered mountains in the distance. Families live in small single or double room houses made of adobe. They raise guinea pigs (cuyes), cattle and sheep. Depending on the time of the year, you may have a chance to try out the foot plow, participate in the harvest, and be part of ceremony to honor Mama Pacha—Mother Earth. You will have a traditional lunch prepared by the ladies of Misminay from naturally cultivated ingredients from their fields. Additionally, you will observe the ladies spinning, natural wool dyeing, and tapestry knitting with traditional techniques. Following your visit to Misminay, enjoy a 45-minute walk to Moray. Both Options: Explore Moray, known as The Agricultural Laboratory of the Incas. It consists of three large natural depressions into which concentric terraces were constructed. 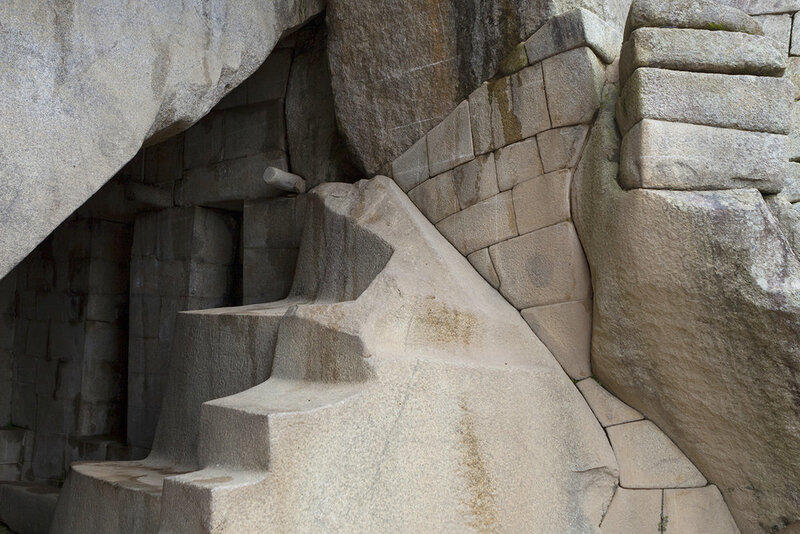 It is speculated that the Incas used this unique structure to adapt crops from all parts of the empire to grow at high altitudes. Seeds cultivated at this site were likely sent throughout the Incan empire to improve yield in the harsh conditions of the Andes and thereby help bind the empire’s many regions together. Lunch will be at the private restaurant Iskay in Maras where we have planned a special tasting of Peruvian fruits. After lunch, you will visit the salt mines of Maras (3380m). Strategically carved from the mountainside, hundreds of shallow ponds are terraced to collect the naturally occurring salt water which then evaporates leaving behind salt crystals. It’s a method of salt production that dates to pre-Incan times. Afternoon Option 1: From Maras, you’ll have your first opportunity to stretch your legs and hike down the valley to the small village of Pichingoto (2833m), where you will cross the Urubamba River by footbridge—a distance of less than 2 miles. This is an easy downhill walk and an opportunity to enjoy the countryside on foot. After your hike you return to your hotel. Afternoon Option 2: From Maras, transfer to a zipline experience to start by 2.30 p.m., the latest time to begin. This unique zipline experience consists of a series of seven lines traversing the cliffside above the Urubamba River. Please note that March is still a bit rainy and this activity can be delayed or cancelled for security. For those not ziplining, Urubamba’s best microbrewery is just down the road. After zipline, return to your hotel for dinner. This morning you will visit the fortress of Ollantaytambo above the river and train station. Afterwards, you will enjoy one of the most breathtaking rail journeys in the world. The rail line follows the river down the impressive Canyon of the Vilcanota to Aguas Calientes, the town located at the foot of Machu Picchu. Upon arrival in Aguas Calientes, you quickly check-in to your hotel, then transfer to a bus for an exhilarating 20-minute dash up the mountainside to Machu Picchu. After lunch at Sanctuary Lodge, located just outside of the ruins, you, with your guide, will have the rest of the day to explore Machu Picchu. In the late afternoon, you will make your way down the mountain (by bus) to Machu Picchu Pueblo hotel for dinner and relaxation. After breakfast, you will return very early to Machu Picchu for an optional and challenging hike up either Huayna Picchu or Machu Picchu Mountain, from where you will have a spectacular view of the ruins and river below. After the hike, you return to town for lunch at Indio Feliz restaurant. Following lunch, you will enjoy the famous Hiram Bingham Train to Cusco. Elegant dining, music and dancing make the journey memorable. Today you will explore the Incan capitol on streets built by the Incas. You will visit the San Pedro lively traditional market, then hop into a van for a visit to the immense Inca ceremonial grounds of Sacsayhuaman above Cusco. Here you will have a private traditional shaman ceremony. 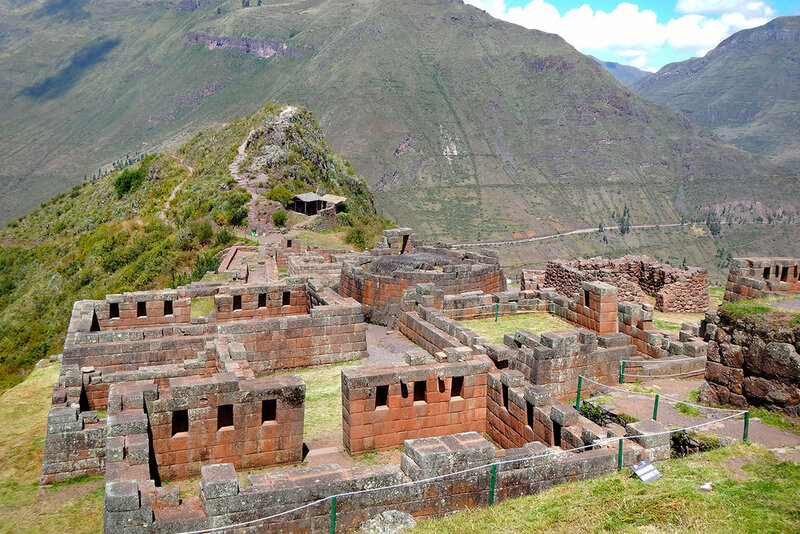 After lunch, you will visit Coricancha, the partially restored Temple of the Sun at the center of the Inca Universe, and try to envision as it was before the conquistadors stripped the gold foil that covered its walls. On the Plaza de Armas you will visit the Cathedral, one of the city’s greatest repositories of colonial art. Dinner is at MAP Café. Transfer to the Cusco airport for your flight to Lima, connecting to your flight home or elsewhere in South America. You will have airport assistance in Lima to help with your domestic to international connection. Explore Lima’s exceptional museums and rich history. Partake in one of the world’s leading dining scenes. Upon arrival in Peru, you will be met and escorted to your hotel for an overnight. If your flight arrives early enough, make dinner reservations for one of Lima’s world-class restaurants. Lima is a large city, with almost 9 million inhabitants, and has flower gardens, great plazas, huge cathedrals, elegant colonial homes, fine museums, and excellent hotels and restaurants. You begin with a tour of historic Lima, including the Plaza de Armas—which recently has undergone a renaissance—where you will see elegant wooden balconies and colonial buildings. Later you will either visit the National Museum of Archaeology, Anthropology and History which has one of the largest collections of Pre-Hispanic art and relics including exceptionally well-preserved mummies. Or, you will visit Basilica and Convent of San Francisco. The church is one of the best preserved in Lima. However, the main draw is the extensive catacombs, where ossuary bones have been placed in geometric figures. From here, you’ll proceed to Museo Larco to see an impressive collection of pottery, gold and silver. You will have lunch at the charming Museum Cafe that is located in the terrace and garden under the Pre-Columbian pyramid and vice royal mansion. We return to the hotel for the night. Dinner is on your own this evening. March 9th - March 15th, 2019 | $6985 per person for 2 guests, $5995 per person for 4 guests. *May be arranged after your adventure for a nominal additional amount. In addition to the specific date above, this tour may also be arranged on a custom basis for any date, subject to availability. I love this itinerary, but I can’t travel on these dates. Can I do this another time? Yes, we can arrange this adventure or a similar one on any date, pending availability of hotels. Please contact us and we’ll get started. Is this adventure appropriate for all ages? Mountain bike and zipline have a minimum age of 7 years old. These are optional activities and the rest of the program can be suitable for children old enough to enjoy the adventure. Please note that parents are responsible for their children at all times and childcare is not included. What if I don’t wish to do an activity? Activities such as bike riding, hiking and ziplining are optional. You are welcome to ride to the next destination in the van, or to return early to your hotel to luxuriate at these exceptional properties. If you are unsure about an activity, please talk with your guide before the activity begins. Please note that this itinerary requires an appropriate level of fitness. Solo travelers are welcome; please contact us for rates. Single travelers with other guests are also welcome. Again, please inquire for single occupancy rates. Hotels and restaurants can cater to most dietary allergies and restrictions. During the booking process, guests will have the opportunity to specify any dietary preferences, allergies or limitations. Is there internet access during trip? Cell phone coverage is relatively good in Peru, with internet available in most hotels. Altitude affects people in different ways, and there is no set susceptibility—a 20-year-old athlete may suffer whereas a 80-year-old may feel no major effects. Most people feel some diminished energy and breath, most noticeably in Cusco. We begin the tour at lower elevation to acclimatize. Start in the Urubamba Valley at 9,500 ft, spend time in Machu Picchu at 7,800 ft, then finish in Cusco at 11,200 ft. Palacio Nazarenas in Cusco has oxygen available in all rooms and oxygen can be provided for the Cusco tours. Please talk with your physician if you have concerns. Of course. We will help you customize additional time in Peru of any duration.